At MidAmerica Plastic Surgery we are consistently looking for new and improved ways to provide patient comfort and to ease any pre-procedure anxiety. Our search for new and improved pain management has led us to the latest analgesic technology, the Pro-Nox nitrous oxide system. 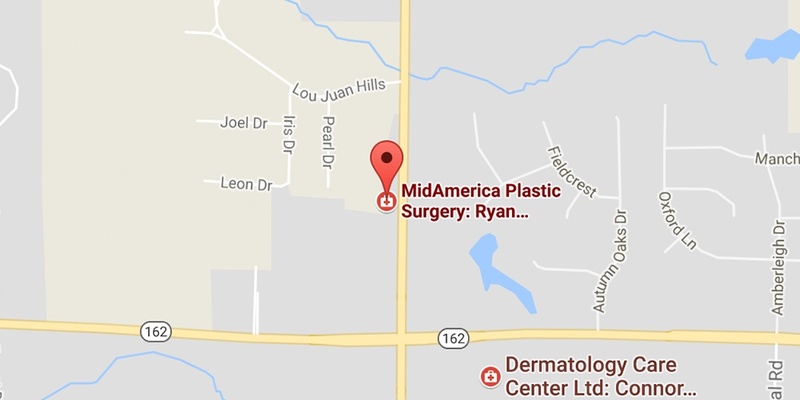 Patient comfort and satisfaction is the main priority no matter what the procedure may be here at MidAmerica Plastic Surgery. The Pro-Nox nitrous oxide system is designed to be innovative and provide immediate pain relief making your procedure much more tolerable. What is the Pro-Nox system? The Pro-Nox nitrous oxide system is the latest analgesic technology that safely offers immediate relief of pain and anxiety. The system is designed to deliver a fifty percent oxygen and fifty percent nitrous oxide mixture to the patient that takes effect within minutes. Pro-Nox is very different than the nitrous oxide that is administered by a dentist, a dentist administers nitrous oxide solely which is considered anesthesia and the patient cannot control how much nitrous they intake. Pro-Nox is a patient-controlled analgesia that allows the patient to control exactly how much or little relief of pain is needed throughout a procedure which is essentially the greatest advantage when utilizing Pro-Nox. Once the procedure has concluded, the patient must only wait precisely ten minutes before getting behind the wheel. No driver needed, no downtime and no trace of harsh chemicals left in the body. What procedures can Pro-Nox be used for and how much does it cost? The Pro-Nox nitrous oxide system offers state of the art comfort for procedures like in office minor surgical procedures, Spectra Laser tattoo removal, injectables like Botox, Dysport and Juvederm. You can add on Pro-Nox to your procedure for only $50 at MidAmerica. It is cost efficient and will make your procedure experience much more enjoyable. Will I feel anything during my procedure? Pro-Nox is not to be confused with a local anesthetic even though nitrous oxide does have an analgesic effect to it. When a patient uses the Pro-Nox system the central nervous system essentially slows down its response time. Pro-Nox will give the patient immediate ease of pain and anxiety once it has been administrated. The patient will feel much calmer and more relaxed throughout the duration of the procedure. If you are a patient who doesn’t do well with pain or discomfort during a cosmetic procedure, then Pro-Nox is just the thing for you. Call MidAmerica today at 618-288-7855 to add Pro-Nox on to any upcoming procedure you have been having anxiety about. Allow yourself to enjoy your cosmetic journey without pain and anxiety getting in the way.